Behind The Thrills | The Best Halloween Events in America! As voted by you! The Best Halloween Events in America! As voted by you! Happy Halloween everyone! Last week we asked you to vote for your favorite Halloween Event in our fourth annual Thrill Weekly Polls, and you did…by the hordes! We had 35 nominated haunts in two categories. The Best Theme Park Halloween Event, and the Best Non Theme Park Halloween Event. All the voting leads up to our Thrill Weekly Awards in January. Seeing that it’s Halloween, we decided to give you a treat! We have the top five Halloween Events from each category. That’s right, it’s the Best Halloween Events in America, as voted by you! Every year we crown a King of Halloween, the top Halloween event as chosen by you! You have the control over which event is crowned King, and which isn’t. Seeing that it’s Halloween, we wanted to do a little Trick or Treating of our own. We hid all the results so that no one could see. Why? Because just like in your favorite horror movie, it’s more fun when you have no idea what’s coming around the corner! There is just another trick, we are going to wait until January to officially crown the King of Halloween. Here’s the treat, however. You get to see the top five in each category, in the order that you voted! As we said, we there are two categories. We do this because there are such huge differences between Theme Park Halloween attractions, and stand alone Halloween attractions. They have the same goal, but are completely different. The nominees based in a theme park (or amusement park for the nitpickers) are in an established amusement area that is open year round. For Halloween they change things up, and even alter the appearance of the entire park, just for the trick or treaters in us all! Then, as soon as it’s done, they go back to normal. The non theme park Halloween Attractions are just that, they are not in a theme park, or amusement area. The sole purpose of these areas are just for a Halloween events (or haunted attractions). The attraction can be open year round, but it must be open the majority of Haunt Season. The Top Five Best Halloween Theme Park Events! The most beautiful theme park in the world is the most brilliant setting for ghosts, ghouls and goblins to roam free, as the park transforms from a family friendly European Destination into a nightmarish mix of vampires, werewolves and pirates. This year Busch Gardens introduced “Terror-Tories”, all new areas with their own haunted story, characters and immersive experiences. Visit the official website by clicking here! Once every hundred years, The 13 come out to play. The most sinister, and vile characters roam the street looking for you, and thirsting to involve you in their…games. Busch Gardens Tampa featured two all new houses, Death Water Bayou and The Basement. The park also introduced a new upcharge horror experience-The Experiment. The event features several scarezones, six houses and of course, roller coasters in the dark. What evil has taken root? What evil hasn’t taken root at Universal’s annual Halloween Horror Nights event this year! From cabins in the woods, zombies, ghosts of murderous mothers, and a time travelling duo in a phone booth, Universal Studios Florida has a little bit of everything going for it this year. Houses based on five different TV shows and movies, an Urban Legend, a sequel to a fan favorite house and a 3D trip into the afterlife make this year’s event a very eclectic mix of horror. Plus, there’s The Walking Dead….everywhere! Eight haunted houses, two shows, and every single season of AMC’s The Walking Dead brought to life in one horror filled event! This one goes until November 2nd! Universal Studios Hollywood is a well known movie studio, that just happens to have a theme park etched into it! Halloween Horror Nights in Hollywood is an affair ripped right from the silver screen every year, and this year is no exception. With a new take on classic monsters, the Mexican legend of El Cucuy-The Boogeyman (narrated by Danny Trejo), Insidious, the twisted world of Black Sabbath and of course, The Walking Dead and Evil Dead, this year’s event is huge! The legendary Backlot is being used for the first time to house a huge scare zone based on The Walking Dead, which also inhabits an all new house and Terror Tram. Scare zones based on The Purge and the all new Curse of Chucky also rounds out the mixed bag of mayhem! For more information about Halloween Horror Nights Hollywood, visit the official website! It’s one of the longest running Halloween traditions in the world, and every year it keeps getting bigger! 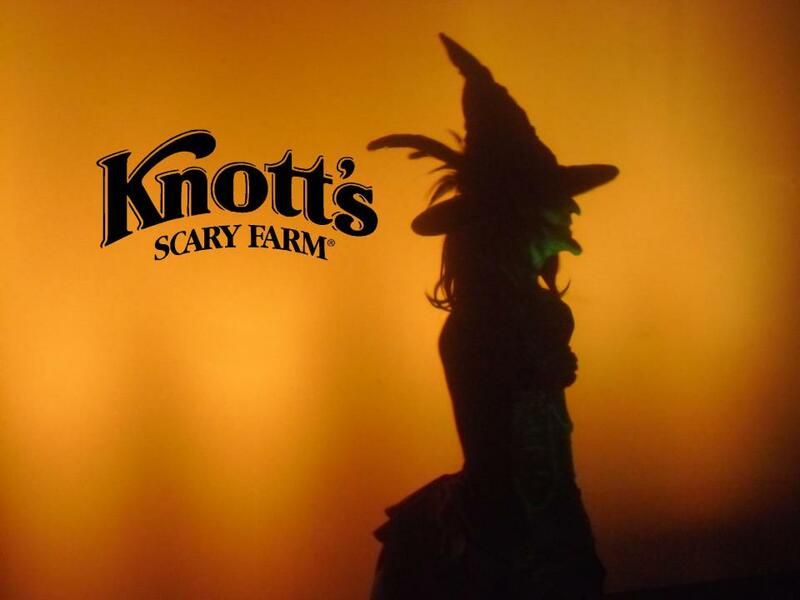 For the 41st annual Knott’s Scary Farm, the park rolled out new houses, an all new upcharge house, new shows and of course the big guns! Elvira! The Mistress of the Dark had a nightly show where she would not only entertain, but also meet with fans. Plus, the all new Black Magic is one of the most talked about new mazes of any haunted attraction this year. Congratulations to Knott’s for taking the top spot! Just south of Pittsburgh, PA. near Morgantown WV, Fright Farm features 3 separate attractions and an entertainment midway in one haunting location! A Haunted Mansion, Haunted Hayride and a 10,000 sq ft Terror Maze! A demented Victorian mistress who tortured everyone in her house until she lost it all and killed everyone. That’s just the start of this year’s Halloween fun at Fright Farm in Smithfield, Pennsylvania. The haunt also features live entertainment such as magic shows, concerts, and huge firework displays. It’s not Halloween, it’s a party! Actually, it’s pretty much both! In the heart of America’s heartland is some of the most demented haunted houses ever to come to life. 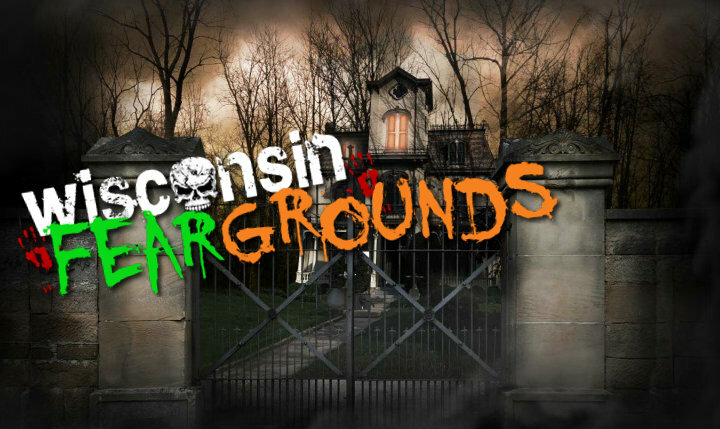 Wisconsin FearGrounds offers three different haunted houses in one location. All new this year is CarnEvil, a demented circus brought to you by the Morgana sisters. Huge haunts, amazing scares, and tons of screams to fill the air! A Haunting in Old Town just opened at the beginning of October, but it brings with it amazing talent, and a story that is to…die for. This is the only year round haunted attraction that made the list! When October fades, and you need a good dose of Halloween, you’ll have it at Legends:A Haunting in Old Town. With animatronics, a really creepy story and of course Archibald Ashdown there to bring you into the confines of this “upstanding family business”. This haunt stands out to us most because of the actors. They do an amazing job stalking you, creeping up behind you, and just getting in your head. Quite possibly the most unique haunted experience you’ll ever have! Delusion is professionally done, and is a completely interactive walkthrough from hell. Produced by Neil Patrick Harris and made up of a dedicated team of actors, this haunt is more of a play than it is a haunted attraction. There is a rich, and frightening story taking place here. Last year’s show took place in an old mansion, this year it’s an abandoned church. Not your standard crowded haunt, your groups consist of no more than 12, making the experience that much more intimate and frightening. Will you make it out alive? Our number one spot is taken this year by a New Hampshire haunt with a dark and seedy past. The haunt follows the history of the notorious Bishop family of Litchfield, N.H. In 1954 Encee Bishop built a stately plantation home along the banks of the Merrimack River. The Bishop family went largely unnoticed as they had stayed to themselves and were rarely seen in the community or at local events. This family was hardly ever spotted during the day preferring to be most active after sundown, unusual for farmers. With several haunts under one roof, Nightmare New England has won several awards and is consistently named one of the top haunts. They’ve taken the top spot, and we dare anyone to try and take it back…if you’re brave enough! Congratulations to all the winners! We hope that they will be haunting your dreams very soon! Thank you to everyone who participated in this year’s King of Halloween Polls! We aren’t done just yet, however! Check back on January 6th as we officially crown the King of Halloween as part of our annual Thrill Weekly Awards-The Best of 2013! Follow along with us on Twitter @BehindThrills for even more polls, and even more mayhem! 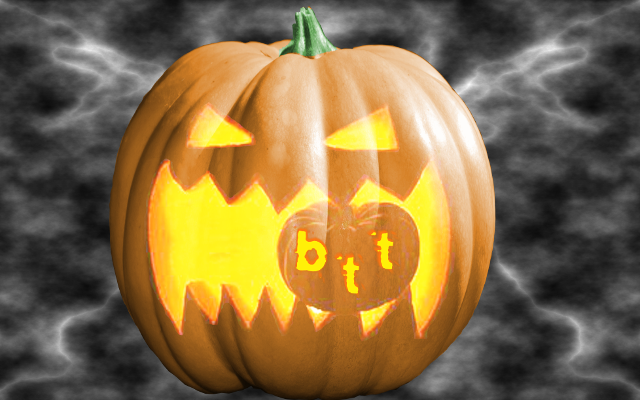 We hope everyone has a terrifying Halloween!